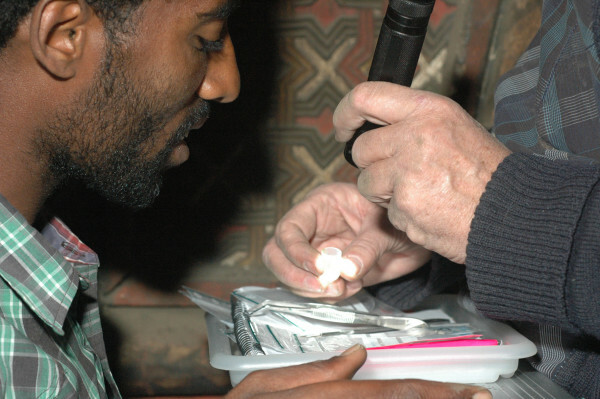 HANDS ON TRAINING and graduate education in conservation as well as basic supervision in care taking and management of heritage of responsible persons at location is a main concern for SCECH, stated in our charter. This goes along with the vision we share with our friends and colleagues in Ethiopia to create a long-term program of conservation and education, with a view to taking care of and protect the priceless cultural properties that belong to this country, not just for the Ethiopian people, but also for the entire international community. This was one of the main issues during the workshop in Addis Ababa 2013 Restore or Lose Forever – The Urgent Need for the Conservation of Historical Heritage: the Case of Yimrihane Kristos, which 2015 was followed up by another workshop in the Capital and a consultative meeting in Lalibela entirely dedicated to this (find links to presentations of these meetings on the bottom of this page). Practical training in field and theoretical education at university are both necessary parts in order to become a restorer. These in turn presuppose ongoing projects of conservation and we hope that the Yimrihane Kristos pilot project in this regard will become the starting point. When the funding is secured this twofold education of students in conservation as well as supervision in different kind of basic care taking and heritage management at spot directed towards priests and locals themselves, will make an important part. 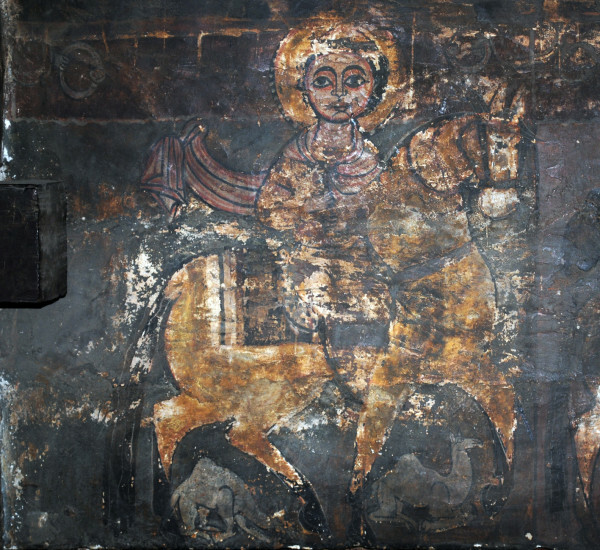 This educational concept on different levels in order to create a domestic profession of restorers and to communicate know how on preventive conservation in order to assist the locals to keep their heritage in good condition and prevent further damages, answer to a longstanding wish from the Orthodox Tewahido Church, Authority for Research and Conservation (ARCCH) as well as from the Ethiopian Universities. As to the practical part: SCECH conservation team, enlarged with other experts connected to this society, are prepared to deliver hands on education in architectural and painting conservation during the YK project to Ethiopian trainees who have decided to become restorers and accordingly also accept to attend the theoretical part of the education. As to the theoretical: a first tentative sketch for a long-term development of graduate education in Ethiopia, including doctoral studies which opens for domestic research in conservation, based on the concept of how higher education use to be organized internationally, has been made by Professor Bosse Lagerqvist, member in SCECH and Head of Department of Conservation at Gothenburg University. It was created to serve as starting point for a discussion with colleagues at the Ethiopian Universities about what could be done in the long run and was at the workshop in Addis Ababa 2015 presented by Dr. Jacob Thomas, member of SCECH and himself a researcher in conservation at the same department. A new workshop dedicated to these issues and to discuss a joint plan with our Ethiopian friends for how this educational program could be integrated in different phases of the YK project as well as the issue of fund raising, is planned to take place in Sweden during the autumn 2016. We in SCECH will here together with key persons from YK and the Lasta province, the Church and Universities in Ethiopia, get the opportunity to agree on details in this plan and discuss how the budget should be done in order to be accepted by all parts involved and to find out appropriate ways of financing. To this meeting will also Mr. Stephen Battle, Architect and Program Director for the Sub-Saharan Africa branch of World Monuments Fund be invited. 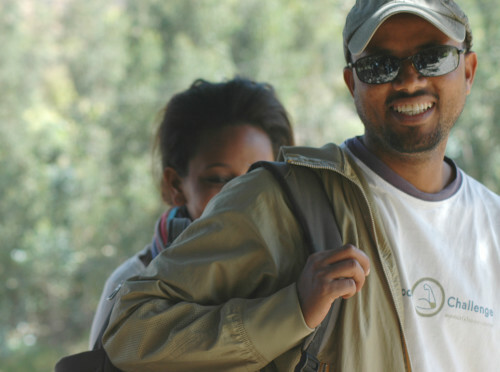 So this pilot project will become a didactic model for how conservation and education in a broader sense can be carried through in Ethiopia. This will hopefully in turn open for a larger, long-term programme of conservation and education in the country, financed by SIDA or EU or in joint venture with private sponsors to the benefit of the great cultural legacy of Ethiopia. 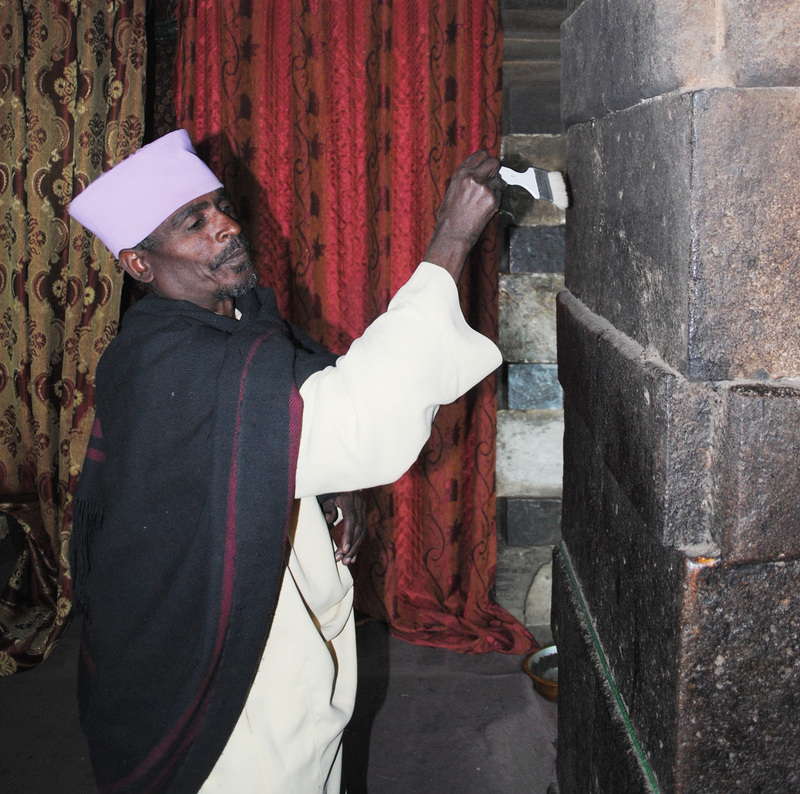 An organisation named The Society for the Conservation of the Ethiopian Cultural Heritage (SCECH) has in 2011 been established in order to support this project. The members of the society represents professions on highest level as well as scientific and cultural institutions with extensive educational potential of great value at the implementation of the pilot project as such as well as at the planning of the enlarged project towards which this one is aiming (for further information about SCECH, see Charter). 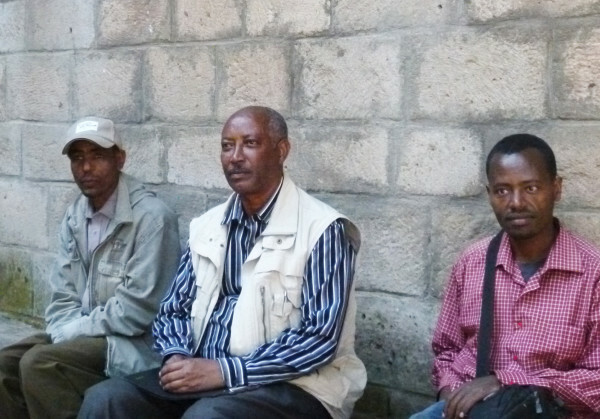 PhD Candidate Mengistu Gobezei Worku (Centre for Theology and Religious studies, Lund Univ.) Prof. Karl-Gunnar Olsson (Architecture, Chalmers Univ. of Technology, Gothenburg) Prof. Inger Lise Syversen (Architecture, Chalmers Univ. of Technology, Gothenburg). Workshop in Addis Ababa (14-16 May, 2015) with participants from the three universities concerned (Addis Ababa, Gondar, Mekelle), governmental bodies and other organisations of relevance, as well as representatives from Swedish partners. The intention with the workshop is to discuss the tentative outline, and more in detail the activities intended to form the second step. Formulate a number of courses in total on the equivalent to between 40 to 60 ECTS, the length of each course is to be decided. 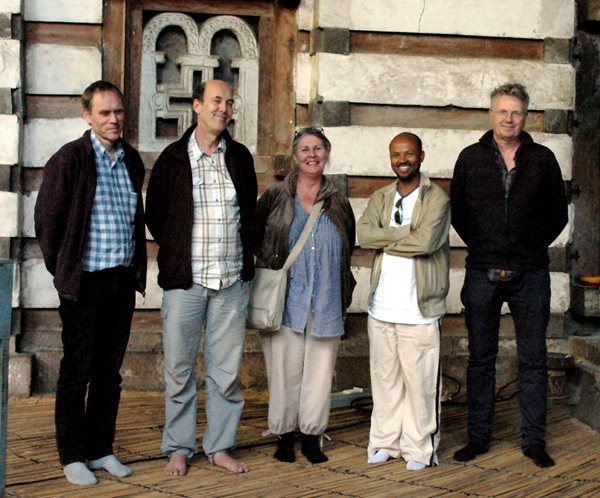 These courses are to be given on part-time basis targeting professionals within the heritage field in Ethiopia. 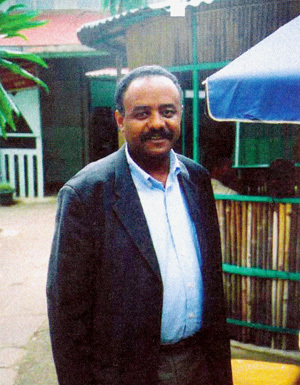 They need to be planned in cooperation with existing university departments of relevance in Ethiopia, so that facilities such as laboratories, studios and lecture halls could be used for the courses, as well as professors, researchers and lecturers within these departments would represent valuable teaching and mentoring resources. The target group, the potential students, should be professionals within the heritage sector. This group will also form the fundament for the ability to establish a full national education structure for conservation studies comprising bachelor’s and master’s levels. Out of these students a reference group will be established that will be a resource for defining the programme structure, course outlines, cooperative links with different university departments as well as heritage organisations and other governmental bodies of relevance. This reference group will also provide the coming conservation program with teaching capacities. The conservation programme is running up to bachelor’s level, parallel to this the master’s level is defined with one or two in-depth strands. Later further strands would be developed depending on needs identified within the national and larger regional context, and the possibility to formulate cross-disciplinary cooperative options with other university departments, nationally as well as internationally. An inter-regional network for conservation education and research is established. The full programme structure is running and conservators with bachelor’s and master’s degree are operative within public bodies and organisations as well as in private companies, in activities on preserving, conserving, maintaining and developing the cultural heritage. An inter-regional conference is organised in order to define research needs, funding options, requirements for starting a PhD-programme, and possible partners in a broader international perspective. PhD-programme is running, doctoral degrees are awarded, and research projects could be established in national and international contexts.